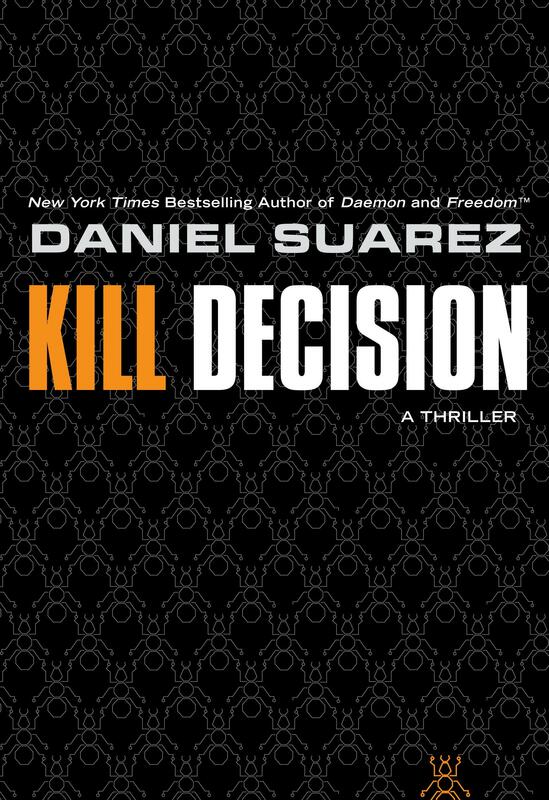 Kill Decision by Daniel Suarez. Signet Books. 512 pages. Those of you who have been hanging in there and reading my stuff for a while know that I have a bromance going on with Daniel Suarez. He’s been called the Second Coming of Michael Crichton in the sub-genre of the techno-thriller, but as I have said before, I think he’s better. Unmanned weaponized drones already exist–they’re widely used by America in our war efforts in the Middle East. In Kill Decision, bestselling author Daniel Suarez takes that fact and the real science behind it one step further, with frightening results. Linda McKinney is a myrmecologist, a scientist who studies the social structure of ants. Her academic career has left her entirely unprepared for the day her sophisticated research is conscripted by unknown forces to help run an unmanned–and thanks to her research, automated–drone army. Odin is the secretive Special Ops soldier with a unique insight into the faceless enemy who has begun to attack the American homeland with drones programmed to seek, identify, and execute targets without human intervention. Together, McKinney and Odin must slow this advance long enough for the world to recognize its destructive power, because for thousands of years the “kill decision” during battle has remained in the hands of humans–and off-loading that responsibility to machines will bring unintended, possibly irreversible, consequences. But as forces even McKinney and Odin don’t understand begin to gather, and death rains down from above, it may already be too late to save humankind from destruction at the hands of our own technology. The thing that draws me to Suarez is consistent in all of his writing. I am not sure if he is a genius or just does a lot of research, but the level of detail and accuracy on his technology is just impeccable. He could be telling you the moon is made of Swiss cheese, but he would back it up with such detail and statistics that you would end up believing him. He’s that good. And often someone who uses those many details lets that slow the story down. Tom Clancy, one of my former favorite authors, used to do that. You had to wade through the technical explanation to get to the story. Suarez doesn’t do that. Another author I have recently reviewed, A.G. Riddle, of Atlantis Plague fame, has lots of excitement, energy and action in his stories, but doesn’t slow down enough for you to get to know the characters. Suarez doesn’t make that mistake. He has plenty of action, but I also cared very much for what happened to the characters in the end. Five Great Big Stars (out of five). If you science fiction, suspense or just plain action, go out and start reading his stuff. Today.